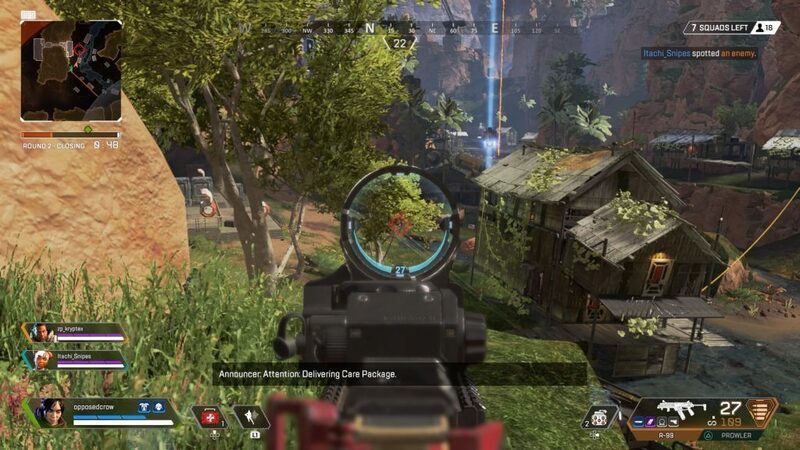 Set in the Titanfall universe, Apex Legends is a battle royale game adds a bit of spice of games like Team Fortress 2 or Overwatch. Each match consists of 60 players divided into 20 teams. You will play one of the eight available legends and coordinate with two teammates to find the last surviving team. 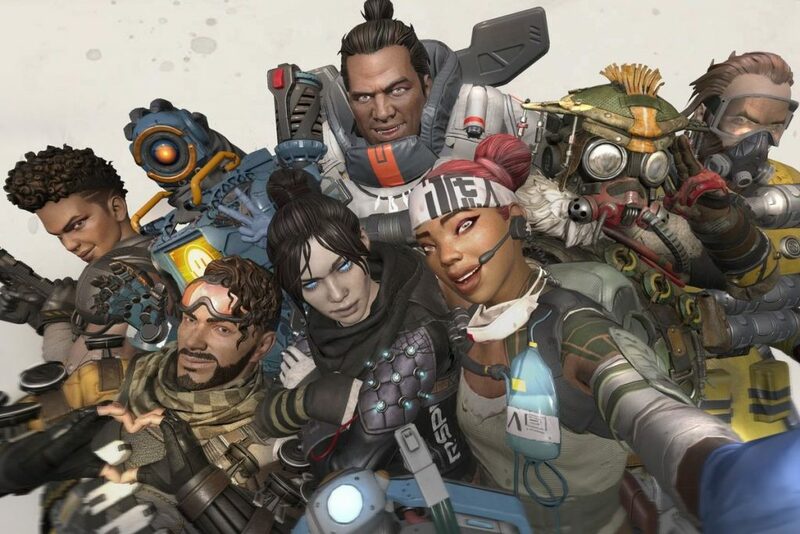 Character element is the difference of Apex Legends with games of the same genre. Each character has a unique skill that we will mention below, so choosing your character can open many unique tactics, making the game more attractive and unpredictable. Although this is the first version, I hardly feel the delay in control. Everything is very flexible and smooth, the only thing that you can’t run on the wall like Titanfall. Is a diverse battle royale game, the game allows you to swing rope, jump over walls and slide slopes. If unfortunately your team have disadvantaged and wants to escape, slope sliding is the most effective way to escape in this case. It is important to know that you never lose HP when jumping from above to the ground. That is, you can comfortably jump from the 20th floor and still be safe. The battle royale element remains the same at the early game. You and 59 other players jump down to the map from an airplane. Choosing a starting place greatly affects your approach to the match. After that, you need to quickly find the necessary equipment, weapons and armor to be ready to face all enemies. Teamwork is a must if your team wants to win, the developer also agrees with this. In a match, if your teammate has fallen, you still have a chance to revive them if you pick up their banner in a timely manner and bring it to a designated location on the map. 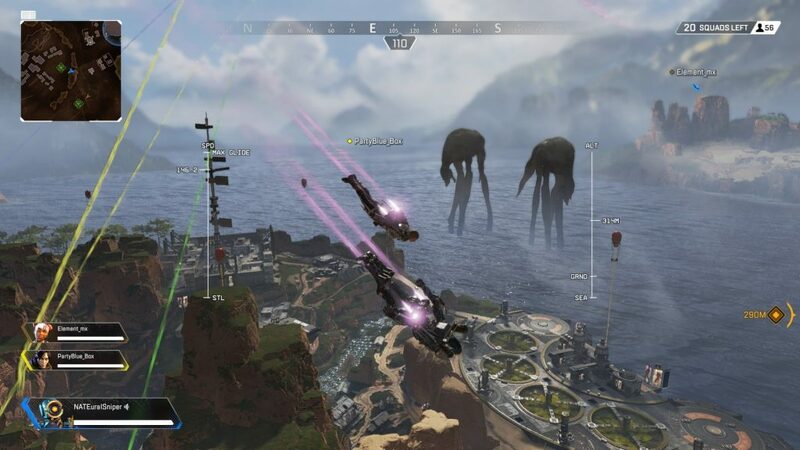 At the time I’m writing this article, Apex Legends has only one map, Kings Canyon. Overall, its area is enough for 60 players. In terms of design, Kings Canyon is designed with a great variety of landscapes and diverse terrain. You can loot items in a factory, snipe on a high-rise building and then jump down to escape or fight in a forest that has been burned by war. Besides, there are many caves, forests, hills, … so that players can find unique tactics. Follow APKMody every day to receive the latest news about Apex Legends APK. We will update the download link as soon as the Android version of the game is officially released. Apex Legends APK is ready to download! Please upload a android version suitable and playable in android mobiles I am really dying to play this game and to see the difference of craze ….